Clerkenwell Design Week in London has become a key date in Allspan’s calendar of events. For the past 4 years, we have provided a temporary building for the exhibition, which has become one of the world’s largest showcases of specialist design. The 2017 three-day design extravaganza attracted more than 34,000 international visitors from the architectural and creative business world. On display were 300 showrooms, exhibits and special installations, each with the intention of inspiring buyers and likeminded creatives. The temporary building was dedicated to small design pieces and interior accessories, which lured the attention of interior designers, retail buyers and the press. The temporary structure was a welcoming venue for visitors. Its Panoramic Window Walls were tied back to provide an open entrance for all exhibitors and, by using our levelled cassette floor system, the goods on display were raised above ground level, keeping them in pristine condition throughout the event. Inside the temporary venue, we installed our Flat White Roof and Gables Linings to give it that extra superior finish and various pods were created using a shell scheme system. 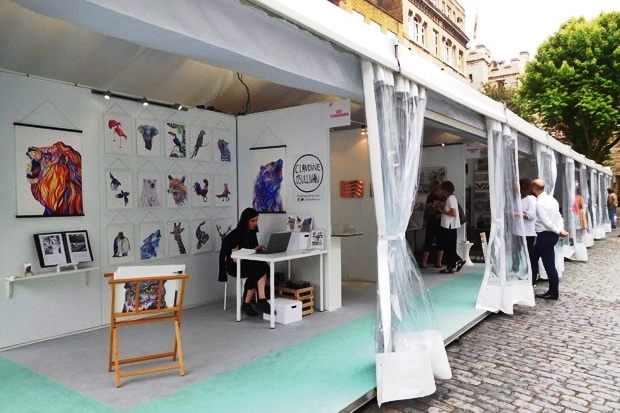 The internal space was sufficient to house 18 exhibitors, including textile and furniture designers, tile suppliers, watch makers, designer stationery, artists, sculptors and more. 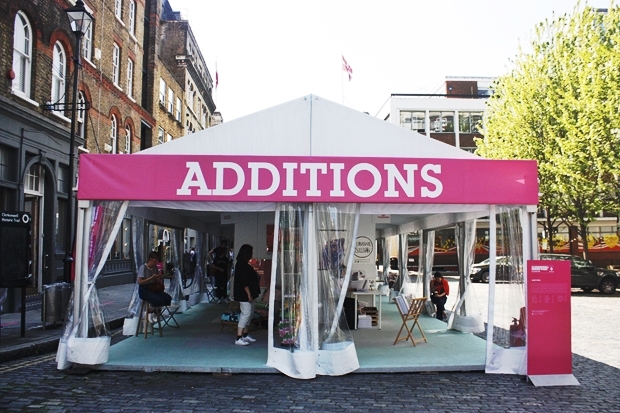 The versatility of our temporary buildings and structures means they are ideal for all types of events. They can be styled and built to meet your specific requirements. So, whether you are organising corporate hospitality for a business event, an exhibition, VIP event, launch party or private function, there is no better choice of venue than an Allspan temporary structure. Please allow us to create the ideal venue for your event by contacting the Allspan team for more information.